BEIRUT -- President Barack Obama's bold move to lead a coalition of countries to degrade, contain and defeat the "Islamic State" group in Syria and Iraq through a combination of military and political means is sensible in principle, but it is likely to run into a serious problem -- one that has plagued other such endeavors. The combination of foreign-led military power and local Arab government partners that must anchor a successful attack to vanquish the Islamic State is the precise combination of forces that originally midwifed the birth of Al-Qaeda in the 1980s and later spawned its derivative -- the Islamic State -- today. The United States and its fighting partners in the Middle East and abroad face two profound dilemmas that have no easy answer. First, the combination of American militarism and Middle Eastern (mostly Arab) autocratic regimes can certainly contain and rattle the Islamic State in the short run, but in the long run, as recent history confirms, it is likely to generate new, more dangerous and more widely dispersed groups of militants and terrorists. Second, there is no easy way, and few other options, in the short run to contain ISIS today before it spreads further and causes more damage to the region, so there seems to be no alternative now but to repeat the questionable patterns of the last 20 years of war against Al-Qaeda and its successors. Their sustained mismanagement of social, economic and political development in the past 40 years was the leading contributor to the mass grievances that sparked large-scale Islamism and emigration from the 1970s, the retreat of the state from some quarters of society, and the birth of militias, tribal groupings, and criminal gangs as powerful new actors in society. The most troubling symbol of how hard it is for Arab regimes to fight the Islamic State and other such phenomena is the Arab jails in the 1980s and 90s that were the incubators for many of the early recruits and leaders of Al-Qaeda. These include Ayman al-Zawahiri in Egypt who was Osama Bin Laden's chief deputy and has replaced him as head of the organization, and Abu Musab al-Zarqawi in Jordan who went to Iraq after the U.S.-led overthrow of the Iraqi regime of Saddam Hussein and established Al Qaeda in Mesopotamia, which later spawned ISIS. The jails of Sunni-majority Arab regimes represent an important aspect of the mistreatment and humiliation that many prisoners experienced, especially those jailed for their political views rather than crimes. Their jail experiences ultimately convinced them to fight to topple their regimes as part of Al-Qaeda's aim to purify Islamic lands from apostate and corrupt leaderships. The fact that tens of thousands of Egyptians, Syrians, Iraqis, Sudanese and other Arabs are in jail today on often questionable charges -- including many in Gulf Cooperation Council states who are jailed simply for tweeting critical remarks about their governments -- suggests that Arab autocracy continues to define and plague the region as a driver of homegrown Arab radicalism and terrorism. The incompetence and autocracy of Arab family-based ruling elites for decades have created conditions that were ripe for domestic rebellions, which erupted in the 2011 Arab uprisings and even before, and also inadvertently triggered the birth of Islamist militants like Al-Qaeda. 3) Civil political contestation and state-building give way to armed clashes by sectarian and tribal militias and militant groups that ultimately carve out their own fiefs. ISIS' expansion in the past year and its declaration of statehood and caliphate follows this pattern, and is its most dramatic and territorially advanced, but not its only example since the 1980s. 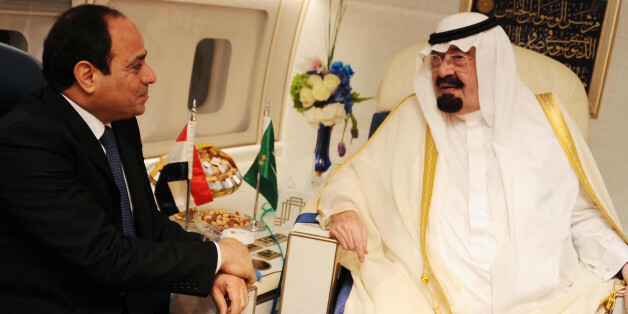 Fighter jets and jails are the problem that shattered the modern Arab world, and they cannot be its solution. Quick military actions will certainly slow down and roll back ISIS in many areas, and the immediate danger is likely to be blunted. But if history since the Soviet invasion of Afghanistan in 1979 and the U.S. in the Gulf and Iraq since 1991 is any guide, chaos looms again. There is only one longer term antidote to the current dangers, which is a slow process of more coherent state-building that is participatory, equitable and sustainable -- which the last 40 years of Arab development have not been. American and European attempts to foster this noble goal in Afghanistan, Iraq, Yemen, Libya, Egypt and other lands have all failed, because they never seriously engaged the local citizens as equal stakeholders in their own nationhood and socio-economic well-being. Military assaults from abroad -- including the ongoing drone assassinations by the U.S. -- have seen Al-Qaeda-like groups expand in the last 25 years from a few hundred in Afghanistan to tens of thousands today, with footholds in a dozen states across the entire region. Especially in their latest Islamic State incarnation, these remain brutal groups that have little local anchorage and only rule by force and intimidation. They can be eliminated only by local counter-forces, with some tactical assistance from abroad, and -- most importantly -- Arab governments that respect rather than humiliate their own people. Now that would be a fine and effective coalition. 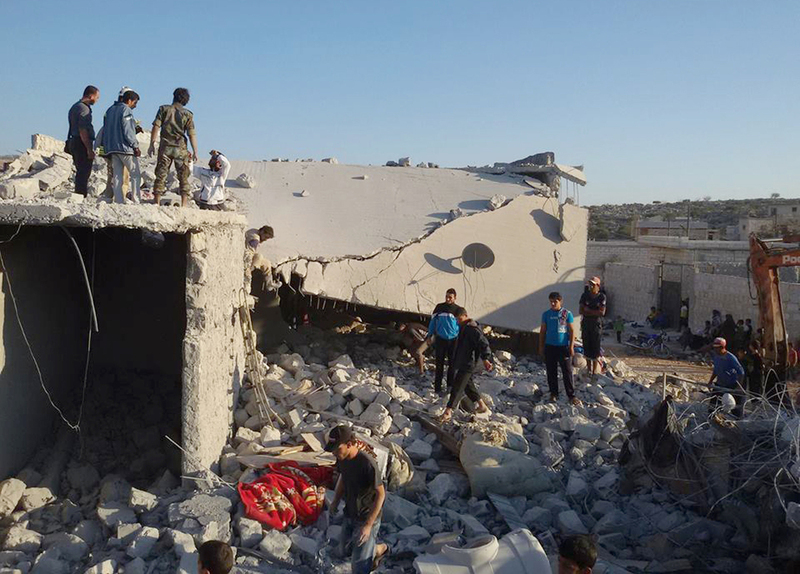 Syrians look at a damaged house in the village of Kfar Derian, which according to opposition activist group Edlib News Network was targeted by coalition airstrikes, Sept. 23, 2014.